Thanks who ever author and posted here this untold history to the world however, there are still untold realities left behind and needs more discoveries. Self made. most of it is customized from word press templates and the plant picture is mine. 31+64=95degree Burma from Giza pyramid. I wanna thank you for publicing this fantastic information. Keep up this good work. I’ll subscribe to your blog also. thanks! Appreciation to my father who stated to me on the topic of this weblog, this web site is actually awesome. Wonderful story, reckoned we could combine a few unrelated information, nonetheless really really worth taking a look, whoa did one particular learn about Mid East has got more problerms also. The picture from other source. https://uk.pinterest.com/pin/550565123174222872/ Map showing the popular hypothesis of the expansion of Afroasiatic out of Africa. Cush, Oromo, Kemetic, ancient Egypt, Afar, Sidama, Ogaden (Somali), Beja, Agawu, Saho, Hadya,……. የጎንደር ነገስታት የቅማንት ብሄር አባላት ናቸው ነው የሚሉት? ታሪኩን እንዴት ሊያውቁ ቻሉ? ጥናቶችስ አድርገዋል? The portrayal we procure the present of the nations of Cush (Cushite)/Ham (Hamite), the children of Noah, in North & East Africa in past age from the phantom of the Solomonic dynasty, the history thought in Abyssinian high schools, their text books and elsewhere is that they were savages and that, though Abyssinians and Europeans overrun their lands and have made mere subjects of them, they have been in a way, bestowing a great favour on them, since they have brought to them the benisons of Christian Enlightenment. With objective analysis, however, this paper obliterates and unmakes that inaccurate illustration, wanton falsifications, immorality, intellectual swindle, sham, mischievous tales, and the parable of human reductionism. Hence, it is the step to delineate an authentic portrait of a human heritage, which is infinitely rich, colourful, and varied in the retrograde of orthodox misconceptions. The paper is not only a disinclination itself but also a call for and a provocation of the new generation of historians to critically scrutinise and reinvestigate the orthodox approaches to Cushitic/Hamatic history and then to expose a large number of abusive scholarship authorities on Cushitic studies and it detects that they do not really know the intensity and profoundness of the history of these black African people and nations and the performance these Africans registered in the process of creating, making and shaping the prime civilisations of human societies. The study acknowledges and advances a strict contest to an orthodox scholarship’s rendition of Egypt as a white civilisation, which arose during the nineteenth century to fortify and intensify European imperialism and racism. Depending on massive evidences from concerned intellectual works from linguistic to archaeology, from history to philosophy, the study authenticates that Egypt was a Cushitic civilisation and that Cushite civilisation was the authentic offspring of the splendid Upper Nile legacy. The Greek civilisation, which has been long unveiled as the birthplace of Western philosophy and thought, owes its roots to the Cushites thoughts and achievements. The original works of Asfaw Beyene (1992)and F.Demie (in Oromia Quarterly, 1998) are giving motivations and also greatly acknowledged. The study also expresses that radical thinker and multi-genuis African historians such as Diop (1991) have not given due attention to the epic centre of Cushitic civilisation, the land after and Eastern and South Eastern to Nubia, pre-Aksum central Cush, Aksumite Cush and Cushites civilisation southern to Aksum, etc. When and where did human life first surface on our cosmos? Who contrived the original and prime human culture and civilisation? Ancient Egyptians contended that it was in their homeland, the oldest in the world, the God modelled the first of all human beings out of a handful of ooze soddened by the vivacity of the life giving sanctified and blessed water, the Nile (see, Jackson, 1995). One of the oldest Cushites history to account for the origin and early development of man and his culture survives in a Greek version of the thesis advanced by the ancient Cushites. This marvellous people paraded in golden times in the region called Kush (Punt) in the Hebrew scriptures and stamped on the present-day upper Nile (see, Jackson, 1995). Diodorus Siculus, wrote that the Cushites were of the opinion that their country was not only the birthplace of human race and the cradle land of the world’s earliest civilisation, but, indeed, the primal Eden where living things first appeared on Earth, as reported by the Scriptures. Thus, Diodorus was the first European to focus attention on the Cushites asseveration that Upper Nile is the cradle land of world’s earliest civilisation, the original Aden of the human race. Whether by almighty (God) or nature/ evolution (Darwin’s natural selection and survival of the fittest), the Cushite land was not only the birth place of man himself but also for many hundred years thereafter is in the vanguard of all world progress (see Diop, 1991). 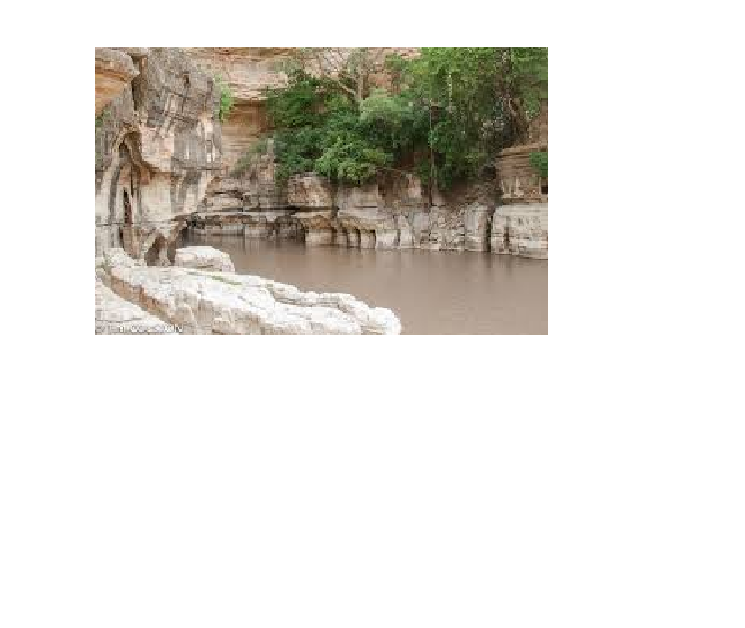 These are also authenticated by the present archaeological inferences in Oromo tropical fields and rivers valleys. The original natives of Egypt, both in old and in the latter ages of development, were Cushite and there is every reason for saying that the earliest settlers were came from the Upper Nile. There are many things in the manners and customs and religions of the historic Egyptians that suggest that the original home of their human ancestors was in the Upper Nile region and the biblical land of Punt/ Kush (Cush) which include the present day of Cushitic Horn of Africa. hence, historical records showed that the antiquity of Upper Nile Cushitic civilisation had a direct link with the civilisation of ancient Egypt and Babylonian. Hence, the Egyptian and Babylonian civilisations are part and parcel of the entire Cushite civilisation. There is an understanding that Cushites = Egyptians + Babylon + Oromo+ Agau + Somalis + Afars + Sidama + Neolithic Cush + other Cush. There is also an understanding that all the Cushites are branched out (descended ) from their original father Oromo which can be described as Oromo = Noah=Ham= Cush= Egyptian + Bablyon+ Agau + Somali + Afar + Sidama + Neolithic Cush + other Cush. For another advanced form of categorisations (see Asfaw Beyene, 1992). According to Clarke (1995), many of the leading antiquarians of the time, based largely on the strength of what the classical authors, particularly Diodorus Siculus and Stephanus of Byzantium, had to say on the matter, were exponents of the vista that the Cushite, the ancient race in Africa, the Near East and the Middle East, or at any rate, the black people of remote antiquity were the earliest of all civilised peoples and that the first civilised inhabitants of ancient Egypt were members of what is referred to as the Black Cushite race who had entered the land as they expanded in their geographical space from the their birthplace in upper Nile, the surrounding Cushite river valleys and tropical fields. It was among these ancient people of Africa and Asia that international trade and commerce was first developed, which was the by-product of international contacts, exchange of ideas and cultural practices that laid the foundations of the prime civilisations of the ancient world. Cushite Africa and also of the Middle East and West Asia is the key to ancient civilisations and African history. It must also be known that there were no such geographical names, demarcations and continental classification at that time. As a whole, Cushite occupied this region, their was the kernel and the centre of the globe, the planet earth, the universe. African history is out of stratum until ancient Cushites looked up on as a distinct African/ Asian nations. The Nile river and it tributes played a major role in the relationship of Cushite to the nations in Southeast Africa. The Nile was a great cultural highway on which elements of civilisation came into and out of inner Africa. After expansions, there was also an offshoot, a graft, differentiation, branching out, internal separation, semi-independence and again interactions, interdependence and co-existence of the common folks. Cushites from the original home made their relationships with the people of their descendants in the South, the North, East and the West which was as both good and bad, depending on the period and the regime in power they formed and put in place in the autonomous regions. Cushite Egypt first became an organised autonomous nation in about 6000 B.C. In the Third Dynasty (5345-5307 B.C.) when Egypt had an earnest pharaoh named Zoser; and Zoser, in turn, had for his chief counsellor and minister, an effulgent grand named Imhotep (whose name means ‘he who cometh in peace”). Imhotep constructed the famous step pyramid of Sakkarah near Memphis. The building techniques used in the facilitation of this pyramid revolutionised the architecture of the ancient world (Clarke, 1995). Of course, Independent Egypt was not the original home of these ancient technology. However, it was an extension, expansion, advancement and the technological cycle of the Upper Nile. Ideas, systems, technologies and products were invented, tested and proved in Upper Nile then expanded and adopted elsewhere in the entire Cush regions and beyond. .
Of course, Cushite Egypt gave the world some of the greatest personalities in the history of mankind. In this regard, Imhotep was extraordinary discernible. In ancient history of Egypt, no individual left a downright and deeper indentation than Imhotep. He was possibly the world’s first mult-genuis. He was the real originator of new medicine at the time. He revolutionised an architect of the stone building, after which the Pyramids were modelled. He became a deity and later a universal God of Medicine, whose images charmed the Temple of Imhotep, humanity’s earliest hospital. To it came sufferers from all the world for prayer, peace, and restorative. Imhotep lived and established his eminence as a curative at the court of King Zoser of the Third Dynasty about 5345-5307 B.C. (Duncan, 1932). When the Cushite civilisation through Egypt afar crossed the Mediterranean to become the foundation of what we think of as Greek culture, the teachings of Imhotep were absorbed along with the axioms of other great Cushite African teachers. When Greek civilisation became consequential in the Mediterranean area, the Greeks coveted the world to ponder they were the originators of everything in its totality. They terminated to acknowledge their liability to Imhotep and other great Cushites. Imhotep was forgotten for thousands of years, and Hippocrates, a mythical posture of two thousand years latter, became known as the father of medicine. Regarding to Imhotep’s influence in Rome, Gerald Massey, noted poet, archaeologist, and philologist, says that the early Christians cherished him as one with Christ (Massey, 1907). It should be understood that, while the achievements of Cushite Egypt were one of the best, these are not the only achievements that Cushite Africans can claim. The Nubians, upper Nile, central and eastern Cushites (the Oromo, Agau, Somalia, Afar, etc) were continue to develop many aspects of civilisation independent of Cushite Egyptian interactions. These nations and states gave as much to Egypt as Egypt give to them in terms of trade, ideas and technology as well. There was also a considerable Cushite dominion on what later became Europe in the period preceding Christian era. Cushites played a major role in formative development of both Christianity and Islam. Both the Holly Bible and the Holly Quran moral texts are originated from the Cushite moral principles, beliefs, creeds and teachings. There is a common believe and understanding that Abraham, a seminal prophet, believer and recipient of a single and eternal God was from Central Cush of present Upper Nile. The Cushites believed in a single and eternal God, Black God. While the Cushite faith, social structure and policies were the prime and the origins of all, Judaism, Christianity, and Islam were all the derivatives and originated from the Black God. Waaqayyoo in Oromo is the original, the single, the omnipotent, the prime and the greatest of all the great religions. All aspects of the present day Christian churches were developed in Cushites. One of the more notable of Cushite contributions to the early church was monasticism. Monasticism, in essence, is organised life in common, especially for religious purposes. The home of a monastic society is called a monastery or a convent. Christian monasticism probably began with the hermits of Cushite Egypt and Palestine about the time when Christianity was established as a licit religion (Clarke, 1995). Oral tradition and Arabian records confirm that Bilal, a tall, gaunt, black, bushy-haired, Oromo, was the first High Priest and treasurer of the Mohammedan empire. After Mohamet himself, the great religion, which today numbers upwards of half a billion souls, may be said to have began with Bilal. He was honoured to be the Prophet’s first neophyte. Bilal was one of the many Cushites who concurred in the founding of Islam and later made proud names for themselves in the Islamic nations and expansions. Europe was sluggishing in her Dark Ages at a time when Cushite Africa and Asia were relishing a Golden Age. In this non-European world of Africa and Asian, Cushites built and enjoyed an age of advancement in technology before a period of internal withdrawal and isolation that favoured the Europeans to move a head of them. For more than a thousand years the Cushites were in the ‘Age of Grandeur’ but the second rise of Europe, internal strife, slave trade and colonialism brought the age of catastrophic tragedy, abase and declivity. The early Cushites made spears to hunt with, stone knives to cut with, the bola, with which to catch birds and animals, the blow-gun, the hammer, the stone axe, canoes and paddles, bags and buckets, poles for carrying things, bows and arrows. The bola, stone knives, paddles, spears, harpoons, bows and arrows, bow-guns, the hammer and the axe- all of them invented first by Cushites – were the start of man’s use of power. The present’s cannon, long-range missiles, ship propellers, automatic hammers, gas engines, and even meat cleavers and upholstery tack hammers have the roots of their development in the early Cushite use of (Clarke, 1995). Cushite offered humans the earliest machine. It was the fire stick. With it, man could have fire any time. With it, a camp fire could be set up almost any place. With it, , the early Africans could roast food. Every time we light a match , every time we take a bath in water heated by gas, every time we cook a meal in a gas-heated oven, our use of fire simply continues a process started by early Cushites: the control of fire. Of course, those early Cushite were the first to invent how to make a thatched hut. They had to be the first because for hundreds of thousand of years they were the only people on earth. They discovered coarse basket-making and weaving and how to make a water-tight pot of clay hardened in a fire. In the cold weather, they found that the skins of beasts they had killed would keep them warm. They even skin covers for their feet. It was from their first effort much later clothing and shoes developed. Humanity owes the early Cushites much and even much more (Clarke, 1995). The Cushites dociled animals. They used digging sticks to obtain plant roots that could be consumed. They discovered grain as a food , how to store it and prepare it. They learnt about the fermentation of certain foods and liquids left in containers. Thus, all mankind owes to Cushites including the dog that gives companionship and protection, the cereals we eat at break-fast-time, the fermented liquids that many people drink , the woven articles of clothing we wear and the blankets that keep us warm at night, the pottery in which we bake or boil food, and even the very process (now so simple) of boiling water- a process we use every time we boil an egg, or make spaghetti, or cook corned beef. Canoes made it possible for man to travel further and farther from his early home. Over many centuries, canoes went down Baro, the Nile and the Congo and up many smaller rivers and streams. It was in this pattern that the early Cushite civilisation was advanced. from the blow-gun of antiquated Cushite, there come next , in later ages, many gadget based on its standard. Some of these are: the bellows, bamboo air pumps, the rifle, the pistol, the revolver, the automatic, the machine gun- and even those industrial guns that puff grains. Modern Scientists certain that by about 3000 B.C. , the Cushite farmers in the Nile Valley were growing wheat and barely, cultivating millet, sorghum, and yams. Around 1500 B.C. new crops farming were developed:- banana, sugar cane, and coconut trees and later coffee. The cultivation of bananas and coffees in particular spread rapidly which are suited to tropical forest conditions. Cushites had also domesticated pigs, donkeys, chickens, ducks, and geese, etc. (Greenblatt, 1992). The agricultural revolution brought about a gradual increase in population. Then another development helped expand population still more. The technique of smelting iron innovated by Cushites. Iron working start and then advanced in the Nile valley and then started to spread to other parts of Africa and from who, by way of Egypt and Asian Minor, this art made its way into Europe and the rest of Old World. Iron greatly improved the efficiency of tools and weapons. Iron tools and weapons are much stronger and last longer than those made of stone or wood. Iron axes made it easier to chop tropical trees and clear land for farming. Iron sickles made harvest easier. 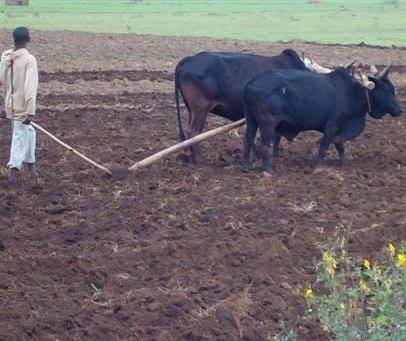 Iron hoes and other farm tools helped farmers cultivate land more easily. Iron-tipped spears meant more meat. The new technologies boosted the Cushite economy, they increased food production that enabled more people to survive. 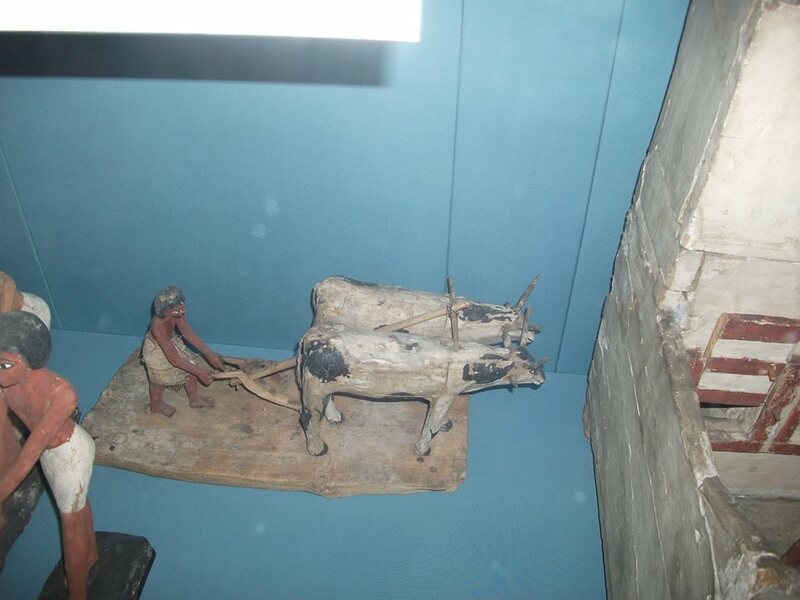 In addition, iron objects became valuable items in Cushite trade and commercial activities. With his simple bellows and a charcoal fire the Cushite blacksmith reduced the ore that is found in many parts of the region and forged implements of great usefulness and beauty. In general, the Iron technology was instrumental in auguring the rise and expansion of Cushite civilisation (Greenblatt, 1992). Cushite hunters many times cut up game. There still exists for evidences, drawings of animal bones, hearts and other organs. Those early drawings as a part of man’s early beginnings in the field of Anatomy. The family, the clan, the tribe, the nation, the kingdom, the state, humanity and charity all developed first in this region of the cradle of mankind. The family relationships, which we have today, were fully developed and understood then. The clan and the tribe gave group unity and strength. The nation, the common whole was first developed here. It was by this people that early religious life, beliefs, and the belief in one God, the almighty started and expanded. The first formal education of arts, science, astronomy, times and numbers (mathematics) were visual, oral and spoken tradition given in the family, during social and religious ceremonies. Parents, Medicine men, religious leaders, etc were the education heads. Ceremonial Cushite ritual dances laid the basis for many later forms of the dance. Music existed in early Cushite Among instruments used were: reed pipes, single-stringed instruments, drum, goured rattles, blocks of wood and hollow logs. Many very good Cushite artists brought paintings and sculpture into the common culture. The early Cushites made a careful study of animal life and plant life. From knowledge of animals, mankind was able to take a long step forward to cattle raising. From the knowledge of plants and how they propagate, it was possible to take a still longer step forward to agriculture. Today, science has ways of dating events of long a go. The new methods indicate that mankind has lived in Cushite Africa over two million years. In that long, long time, Cushites and people of their descent settled in other parts of Africa and the rest. Direct descents of early Cushites went Asia Minor, Arabia, India, China, Japan and East Indies. Cushites and people of Cushite descents went to Turkey, Palestine, Greece and other countries in Europe. From Gibraltar, they went into Spain, Portugal, France, England, Wales and Ireland (Clarke, 1995).Considering this information, the pre-Colombian presence of Cushite African mariners and merchants in the New World is highly conceivable and somewhat sounds. In this context, the first Africans to be brought to the New World were not in servitude and slavery, which contrary to popular creed. Unlike the western Sudan and in Egypt, the people and nations of upper Nile had lost written records of their ancient times and medieval history. These were destroyed and burned during war of conquests. The early travellers to these areas are also mostly not yet known. Notable kingdoms and states did rise in this part of Africa and did achieve a high degree of civilisation. Scholarly undertakings show that Cushite Africans such as Oromos were the first in human history to invent and implement democratic institutions(GADA), democratic forms of government, elections and unwritten constitution. Democracy was first invented in upper Nile then to Athens, Greek and to the rest. It was not the other way round. A number of scholars, both ancient and modern, have come to the conclusion that the world’s first civilisation was created by the people known as Cushite and also known by Greeks as Punt (Burnt Faces). The Greeks argued that these people developed their dark colouration since they were adjacent to the sun than were the fairer natives of Europe. According to Homer and Herodotus, the Cushites were inhabited in the Sudan, Egypt, Arabia, Palestine, present Ethiopia, Western Asia and India. The identification of Kush (Cush) civilisation with the present Abyssinia (Amhara-Tigre under the name of Ethiopia made by the Abyssinian priests translators of the Abyssinian version of the Bible in the 5th and 6th century or some other time, has been a cheating and misrepresentation of true human history. Those Abyssinians who were stealing the history were relatively recent migrant (conquerors) of the region. They occupied the present day Northern Ethiopia (central Cushitic of Agau and Oromo) long after the first human civilisation already originates in the area and spread to the rest of the world including to Mediterranean Europe. The native occupants of the region are the Cushite people (Oromo, Agau, Somali, Sidama, Afar, Beja, Saho, etc). Ethiopian Jews (Falashas) are also Cushite Agau who accepted Jews religion. Abyssinian tribes have fabricated their own false history to claim legitimacy to the region and then established a regime truth through continuos fable story, phantom, indoctrination and falsification of the real Cushite history. Aksum was not founded by Semitic immigrants but the Abyssinians resettled among the Cushites cities and commercial centres in which Aksum was one and latter dominated the ruling power in this very centre of the civilisation of the central Cush. Ge’ez was invented as a language of the centre and latter used as the official language of the church and the colonising Abyssinian ruling class. Ge’ez was initially developed from the mixture of Cushitic and Greek elements that was facilitated by the Cushite trade links to the Greek world. There was also Greek resettlement in Aksum and the surrounding central Cush commercial towns. The earlier rulers of Aksum and Christian converts including Ezana were Cushites. Though Ezana was the first convert from the above (the ruling class) to Christianity, he did not give up his belief in one God (Cushite/ black God). He was also not the first Cushite to be a Christian. In their linkages with a wider world, it is also highly likely and very logical and possible that there were Christians among the civilian Cushite trading communities who had already disseminated their new faith, as so many Oromo merchants were to do latter in the expansion of Islam. The splendid Stella, towers of solid masonry, with non-functional doors and windows at Aksum was not the earliest materialisation but it was the continuity in the manifestation of major indigenous Cushite tradition of monumental architecture in stone, which also later found expression in the rock-hewn churches of the Cushite Agau kings (see also Isichei, 1997 for some of the opinions). Abyssinians were the rulers. They were not the engineers and the builders of the stone monuments. It was the original product and brain child of Cushite technologist. Of course, their advancement was thwarted with the unfortunate coming of the Abyssinians. Almost all of the original studies of the origin of Cushite civilisation could not penetrate far deep into regions south east to Nubia (Mereo) and could not dig out vast primary sources in present day Oromia. 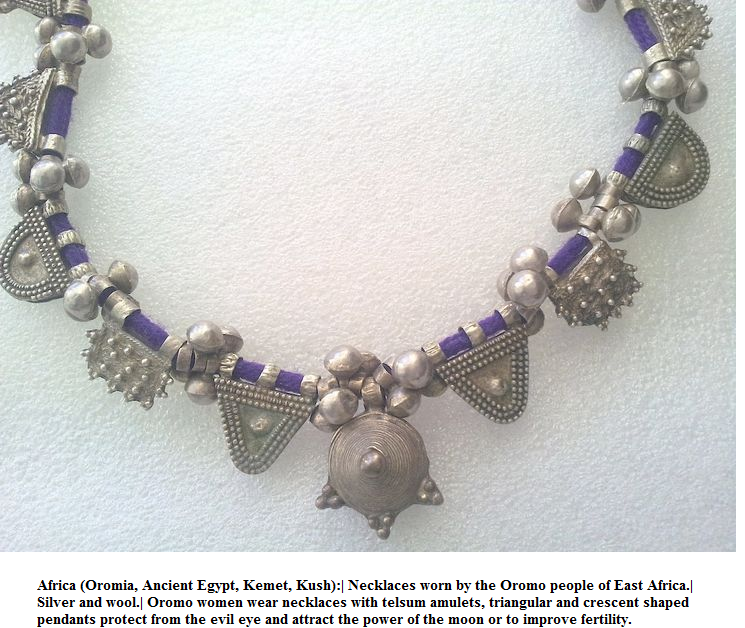 Though the British Museum has collected vast sources on Nubia, it has not kept any on Oromo. For me, as native Oromo with knowledge of oral history and culture, as I observed the Nubian collection in British Museum, what they say Nubian collection is almost identical to Oromia, but in a less variety and quantity. I can say that Nubian and other Cushite civilisations were extensions (grafts) of the vast products of Oromo. I may also be driven to the culmination that the people whose manners and customs have been so thoroughly capitulated by Herodotus, Diodorus, Strabo Pliny and other were not Abyssinians and other Black people at all, but the natives of Upper Nile, Oromos, Agau, Somalis, Afar and the rest of Cushitic people of the present Horn of Africa. Sir Henry Rawlinson in his essay on the early History of Babylonian describes Oromos as the purest modern specimens of the Kushite. Thus, Oromo is Kush and Kush is Oromo. To deeply analyse the subject under investigation, however, such study may require specific topic of investigation like the Oromo origin of humanity and civilisation. Seignobos (1910), in his scholarly works on the history of Ancient Civilisation reasoned that the first civilised natives of the Nile and Tigiris-Euphrates Valleys were a dark skinned people with short hair and prominent lips , they were called Cushites by some scholars and Hamites by others. So Cushite (Hamite) is generally recognised as the original home of human civilisation and culture both beyond and across the Red Sea . They are the original source of both the African and Asiatic (Cushitic Arabian) civilisation. The system of writing, which they brought up with them, has the closest semblance with that of Egypt; in many cases in deed the two alphabets are absolutely identical. In the Biblical genealogies, while Kush and Mizrain (Egypt) are brothers, from Kush Nimrod (Babylonian) sprang. With respect to the language of ancient Babylonians, the vocabulary is absolutely Kushite, belonging to that stock of tongues which in postscript were everywhere more or less mixed up with Semitic languages, but of which we have with doubtless the purest existing specimens in the Mahra of Southern Arabia and the Oromo. The above study exposes the tragedy caused by history and fable of human reductionism. It also reshapes the spoiled and the injured magnificent black beauty and the gists of Cushite history. The paper expresses that Cushites are the origin of humanity and the original home of prime human civilisation. It is not an original work by its own but it is the extension of the scholarly studies of Beyene (1992), Diop ( 1991), Demie (The Chustic roots of Oromo, in Oromia Quarterly, 1998) and others. The history of reductionism has been caused by and also the product of racism, politics of depossesion, impoundment, aggression and transgression of humanity. The catastrophic tragedy was not only in the past but still persists that it has been the root cause and the mother of all conflicts imposed on the Cushite people of East Africa today. Hence, historians, concerned scholars and humanitarians should work day and night to restore the self-possession power of the people whose identities and history have been not only confiscated but also intentionally manipulated, spoiled and tribulated. Baldwin Baldwin, J. (1869), Pre-historic nation, New York, Harper &Bros.
Beyene, A. 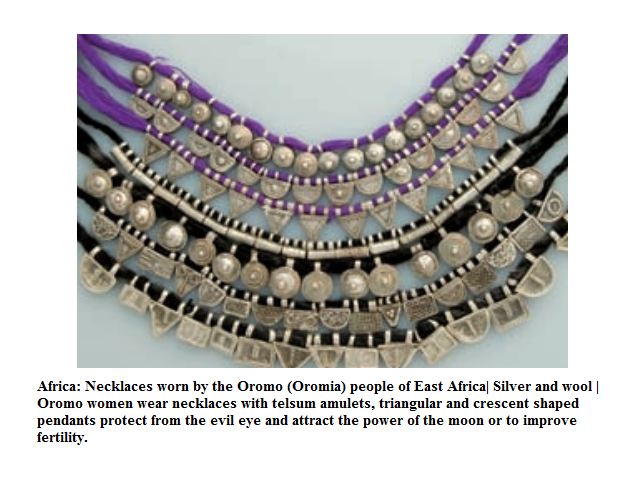 (1992), Oromo, Novelty and Antiquity, A draft and unpublished manuscript. Buge, E.A. (1934), From fetish to God in Ancient Egypt , London, Oxford University Press. Diop, C.A. (1991), Civilisation or barbarism: An authentic anthropology, New York. Duncan (1932) A Scheme of Egyptian Chronology, Macnaughton. Haddon, A. (1934), History of anthropology, London, Watt and Co.
Higgins, G. (1965), Anacalpsis, 2 vols., New York, University Books. Komroff (1939), New York, Dial Press. Jackson, J.G. (1995), Introduction to African Civilisation, New York, Carol Publishing. Lugard, L. (1964), A tropical dependency, New York. Barens & Noble. Perry, W.J. (1923), The Children of the sun, New York, Dutton & Co.
Seignobos, C.(1910), History of ancient civilisation, London, T.Fisher Unwin. === ጎጃምና ኦሮሞ === . Africanus…The name signifies that the person named himself After Africa. 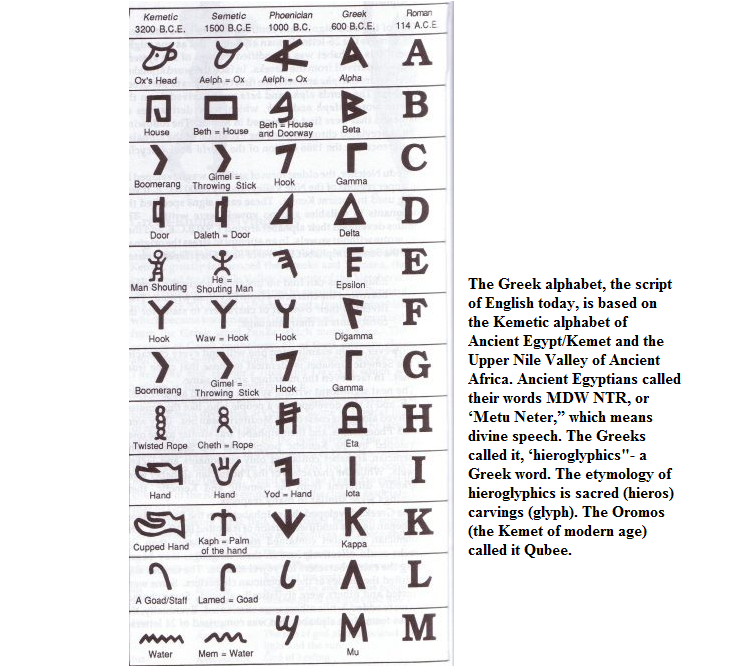 One thing is certain, Greek and Latin have Egyptian linguistic influences although both are Indo-European languages. Besides, the term “Indo” comes from “India,” the word “India” came from the Arabs, who pointed out that Kush, a son of Ham had two sons, “Hind,” and “Sind.” Hind of Kush established a culture in India, Sind of Kush established a culture in the Arabian region. Nimrod established in parts of Mesopotamia. These Aryans spoke a northern European language that in its pure form would resemble Finnish, Islandic or those not influenced by Greek or Latin. After hundreds of years of trying to invade and conquer Black India, they were able to use the destruction of the dams to flood the region. After that happened, they began to infiltrate into the land using war and extermination to conquer much of the northern part of India, where they used the sacred scritures to establish a caste system. While the Aryans were in India, they became absorbed into the Black population of Dravidians and Negritoes and anyone who looks at the population of Northern India today will see a Persian/Mediterranean appearance among the people there, and a more Negroid African appearance among the people in the Southern parts, especially the South-East of India. In fact, scientists from India have already established that in every genetic aspect these Indians are identical to Blacks in Africa. These Africoids are among those responsible for the creation of India’s Indus Valley Civilization. The Aryans who were not literate people learned from the Blacks of India. The Aryans leaned the Black Kushitic languages, the customs, (although they established the taboo against eating beef to weaken the Black population, according to some present-day Black Untouchable writers). They learned the various arts and crafts from the aboriginal Blacks of India according to Drusilla Dunjee Houston (see “Harappa and Mohenjo-daro: The Black Civilizations of Ancient India,” Susu Economics: A History of Pan-African Trade, Commerce, Money and Wealth, published by 1stbooks Library, Bloomington, Indiana U.S.A http://www.1stbooks.com ). So, the languages of the Greeks, Latins, Germans and even English comes from the Indo-European language family. That language family has Black Kushitic African roots as well as a north-central European base. Hence the term “Africanus” is Lanin but the term “Afrikanu- Africanus” “Kepru – Cyprus” “Keftiu – Crete” all are African words and the “u” usually denotes a place name in some African languages. In the Latin, the “us” takes the alce of the “U’ That is where the African and Kushitic influence is clear. 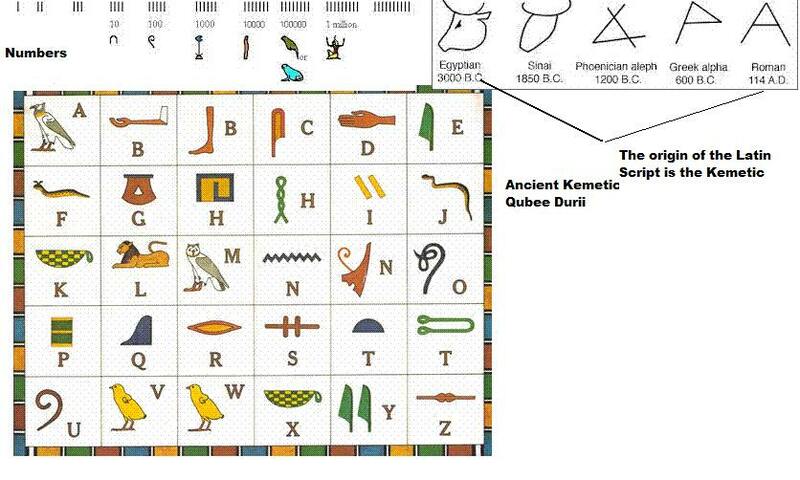 Both Keftiu and Kepru are ancient Egyptian workds. So these are examples. Thus “Africanus” is Latin, but ‘Afru-ika” is Egyptian and the name “Afru-ika” was in existance long before the name “Africanus,” which probably means “from Africa,” or “of Africa.” During the 400’s B.C. to 400’s A.D., the Romans were in northern Africa and the Greeks were in Egypt from about 300’s b.c. to about 200 a.d. So, the Indo-European languages have African Kushitic roots as well. The term ‘Afru-ika” means “Motherland,” according to one of Ivan Van Sertima’s books. Afru-ika means “motherland” in the ancient Egyptian language which was part of the “Afro-Asiatic” language family. Hebrew, Arabic, Geez (the litergical language of the Ethiopian Coptic Church), Aramaic are all Afro-Asiatic languages. The oldest and the mother of these languages still survives today in East Africa, it is called “Iraqwu” and is a Black African language. Some linguists point out that both Hebrew and Arabic are dialects of Ancient Egyptian. 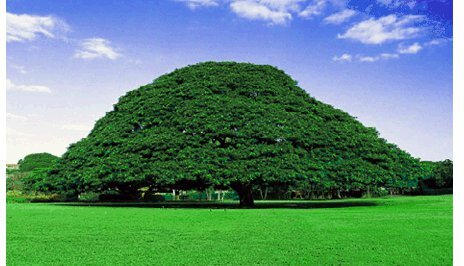 According to some Africans of the Galla People of Ethiopia, “Apraka” means “sunny,” hence the term “Africa,” may in fact have African roots. Now, as far as the Roman is concerned, his name “Africanus” or a name such as “Scicipio Africanus,” probably means “Sicipio of Africa.” That would mean the general was named for being from Africa. I would go with Dr. Van Sertima. The name Africa came from ‘Afri-uka” which means “Motherland,” in the ancient Egyptian language and that term “Motherland” is one still used in reference to Africa even today.